Cate Blanchett lends her voice to the documentary Earthflight, a coproduction of John Downer Productions and BBC Earth, that will arrive in theaters this month. Earthflight 3D takes the audience on an incredible flight across the world on the wings of birds. Revolutionary aerial techniques and state-of-the-art 3D cameras fly wingtip to wingtip with some of the world’s most charismatic birds. On their fantastic journeys, the birds visit some of the most spectacular animal events and locations on earth. It is a totally immersive experience—at times the flocks seem to fly out of the screen. It is a whole new way of exploring the natural world, as birds time their seasonal journeys to coincide with some of the most intriguing events in nature they soon become immersed in great animal migrations, strange animal happenings, and awe-inspiring landscapes. In this thrilling experience the 3D cameras plunge the audience into the heart of these natural events. 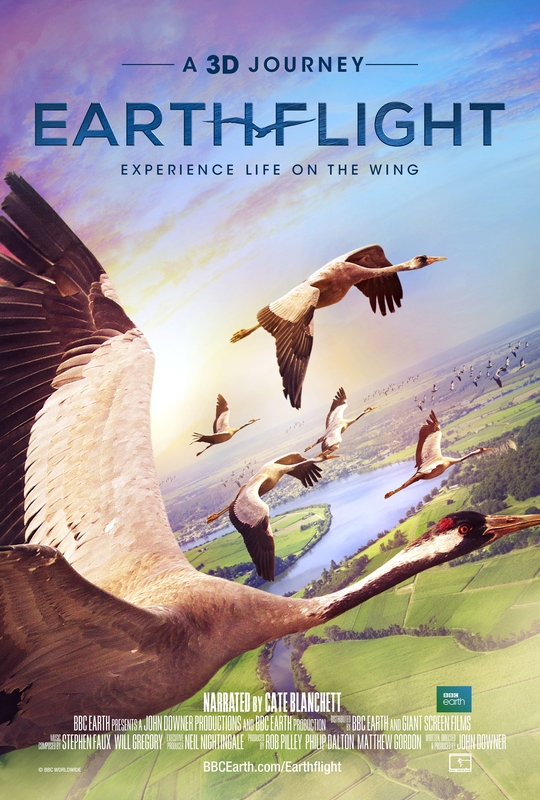 Through the eyes of birds, EARTHFLIGHT 3D shows the spectacles of our planet as never before. There will be a screening and a panel discussion at the Canadian Museum of Nature on September 15. Tickets and more information can be found here.